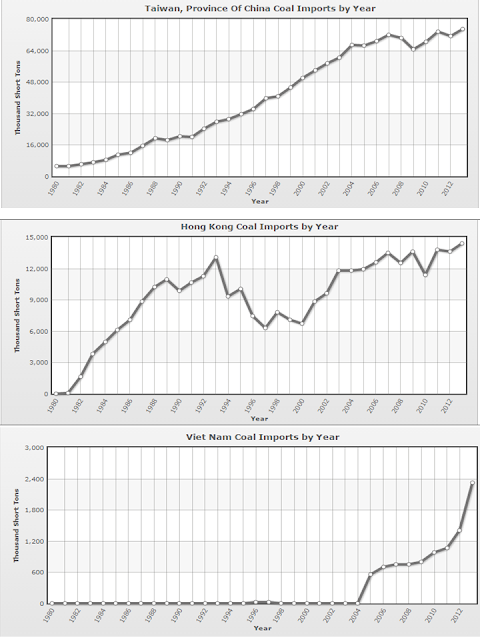 I saw these interesting charts from Index Mundi. Data until 2013 only but useful nonetheless. Source is US EIA. 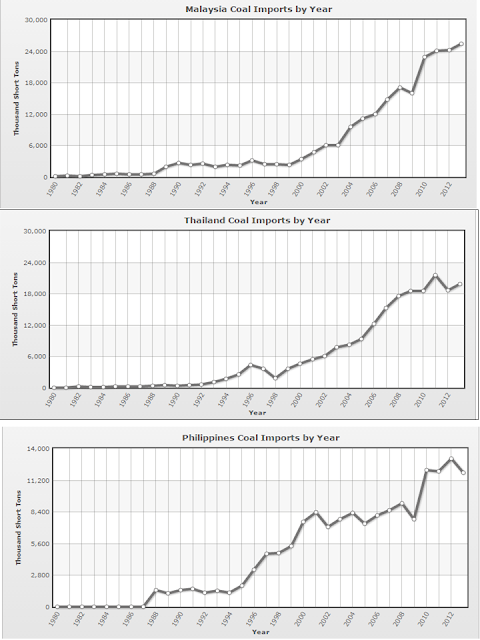 The medium-users in East Asia -- MY, TH and PH. The medium users, TW and HK. 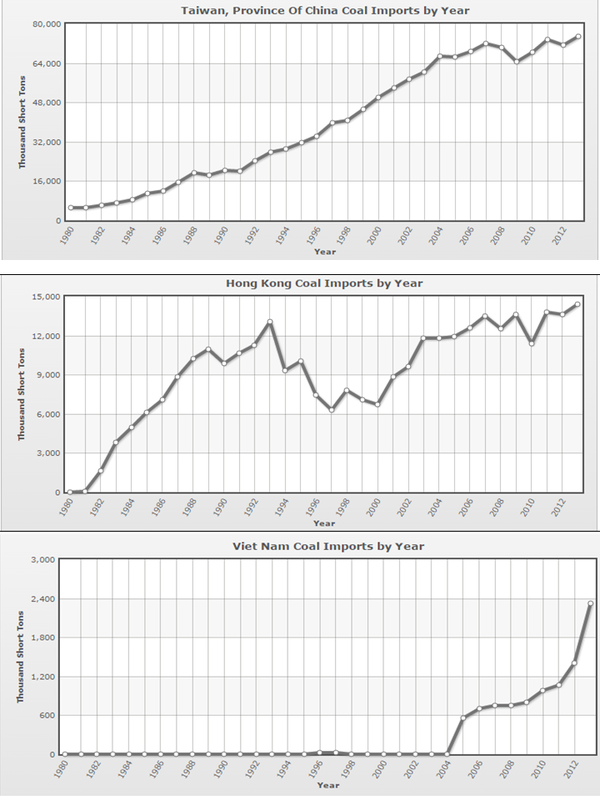 VN is a small user but there was a huge uptick in importation starting 2005. 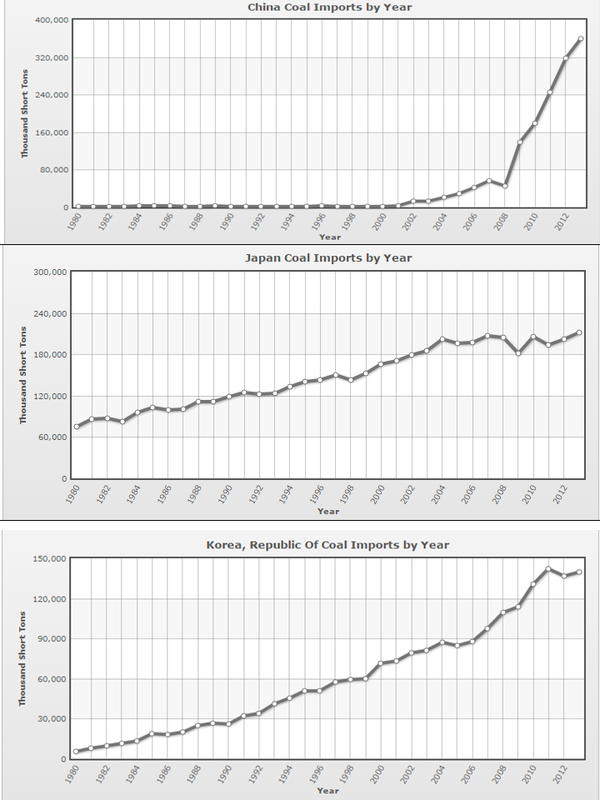 And the big coal users in East Asia -- China, Japan and S.Korea. 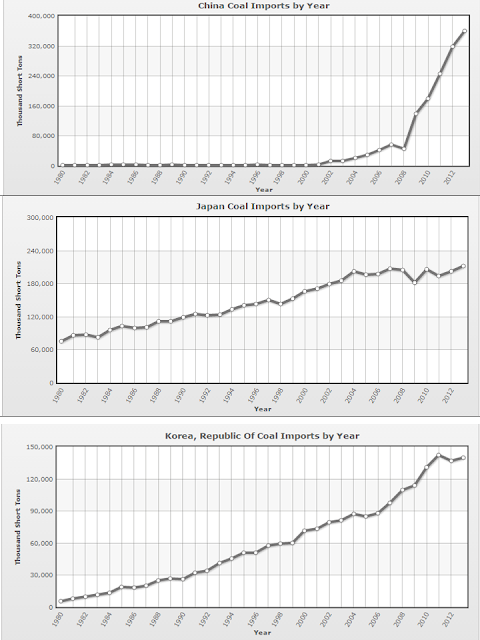 So claims like "East Asia coal use has declined" are not true. 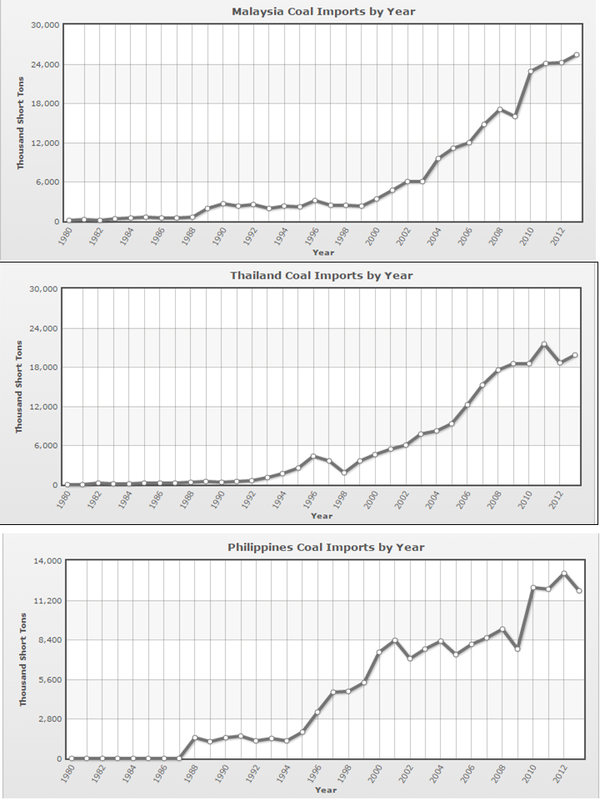 Asia needs cheap and stable electricity supply.